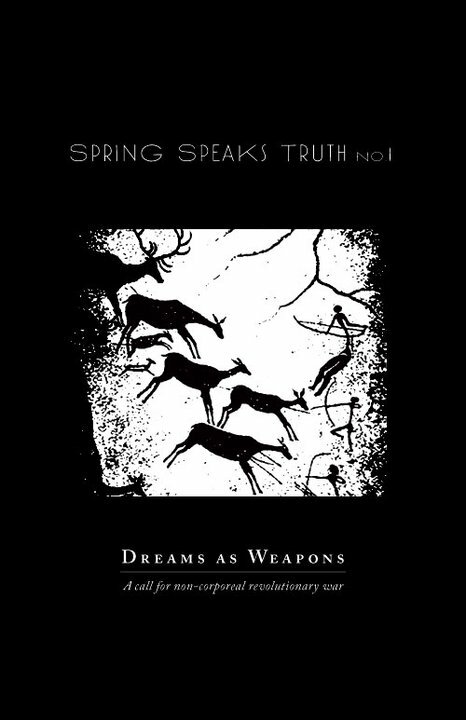 The text of Dreams as Weapons: A call to non-corporeal revolutionary war is available in printed form from Autonomy Press, designed and formatted by the very capable Ogo Eion (iokaos, Tesselate Designs, etc.). It is $3 plus a dollar for shipping and handling. This is the first issue of Spring Speaks Truth. Work on a second printed volume is underway, and should be finished sometime in late winter or early spring.